Visitors Management is a cost-effective visitor management application that enables an organization to manage and track visitors throughout its facilities. Visitors can be quickly and efficiently added to the system. 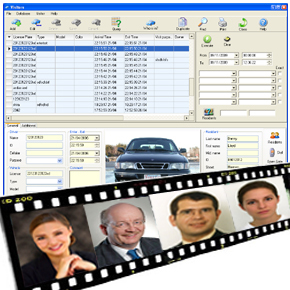 Prior to a guest’s arrival, the system operator can enter pertinent data concerning the visitor into the system, assign an employee host to the visitor, assign active date ranges for the person’s scheduled visits, optionally capture the visitor’s photo and signature, and assign access privileges to the visitor. Upon arrival, the visitor will be signed in with a simple mouse click, and a guest badge will be printed for the person.